If you're looking to buy microphones in the UK then you've come to the right place. We can ship to anywhere in the UK from our North East based offices, just outside Newcastle. Free delivery offer is only available for orders in England, Wales and the Lowlands of Scotland. More information on our delivery information page. 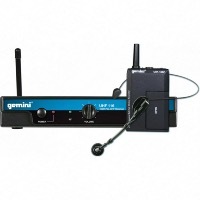 Affordable handheld wireless microphone system for all applications. Very popular for DJ's and Karaoke. TOA replacement tie clip microphone. If your system is crackling and banging this is what you need. One of our best sellers, ideal tie clip system for churches, education and corporate use. Lost that clothing clip from your TOA lapel microphone? No problem, order your new one now. Founded in 1972, our company has over 45 years of experience in the tannoy, public address and communications industry. Step by step, we succeeded in widening our range of equipment in order to meet customers needs. By listening to our customers and dedicating attention, we became specialised in this market and a leading supplier of audio visual equipment in the UK. Our experience and professionalism led us to become members of the ISCE and PLASA institutes, and to have a deeper knowledge of our market and the demand. 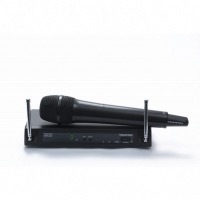 By being part of this network, we are now able to provide you with professional microphones, microphone systems and Accessories of the highest quality, from many leading manufacturers. For your specific needs, we even stock microphone spares like TOA Microphone Spare Parts. 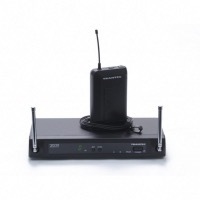 We sell both wired microphones and wireless microphones. 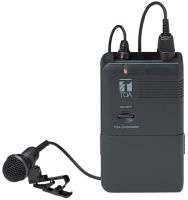 If you are likely to move around the place, give priority to high quality audio handheld microphones. Whatever your requirements, we will gladly advise you and provide the most adapted audio equipment...whether that be microphones for DJ, microphones for Church, for a conference or for teaching aerobics, etc.